How to care for diamonds? Preservation of the attractive appearance of gold jewelry and diamond jewelry, promotes special care. If your jewelry are properly stored and are subjected to periodic cleaning, they will long to bring you joy. In the process of wearing jewelry of gold jewels have to be in contact with our skin, dead skin cells and sweat. Interacting with the environment, they also have the tendency to darkening. It is known that the composition of any Golden decorations consists of elements that by interaction with the air oxygen, water and carbon dioxide, can lead to darkening. In order to remove it every time after you take them off, wipe the product with a microfiber cloth. Such wipes can be purchased in jewelry stores. To get rid of the tarnishing will help special solutions and pastes. Purchase a set for cleaning gold jewelry, which is a bottle containing cleaning fluid and a mesh. Place the product inside the mesh, are immersed in the solution, and maintain it there for 7 minutes. Remove and wipe with a soft cloth. Large clean gold jewellery with the help of special cosmetics in the form of a spray by spraying it on the surface of the jewelry, then Polish the gold well. Do not use chalk for cleaning gold jewelry. On the surface of gold can be scratched or deteriorate the condition of the upper layer. Remove jewelry with diamonds, if you are swimming in swimming pools which have chlorine, it can lead to corrosion of metal in the bends. If the product wear a diamond every day, wipe it regularly with a suede cloth and once a month clean with warm, soapy water, sweetened clean water or a weak solution of a mixture of water with ammonia and ethyl alcohol. If your diamonds according to the purity below 8 group, use a special device, which performs ultrasonic cleaning diamond jewelry. Mix a solution of warm water (100g), baking soda (25g), bleach (10g) and a pinch of kitchen salt. 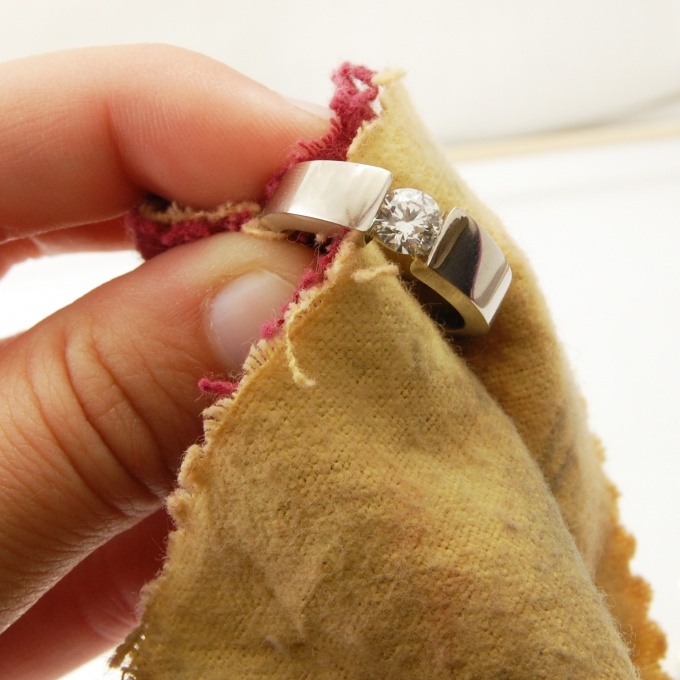 Hold in this jewelry, then wipe with a flannel cloth. Cleaning gold and cleaning of diamonds should be held regularly, once a year give jewelry master to conduct professional cleaning.